This is not a retail site. 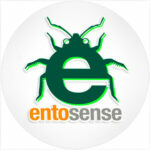 If you would like to buy edible insect products for personal use, please visit: www.EdibleInsects.com. Use the form to the right to apply for a wholesale account. Please email your W-9 or taxes may apply. If you are an established business over three years old, you may apply for credit. Younger businesses will need to place and pay for three orders before credit can be established.